Why Doesn't RUSC Remember Me? Your login details for RUSC are stored in something called a "cookie". 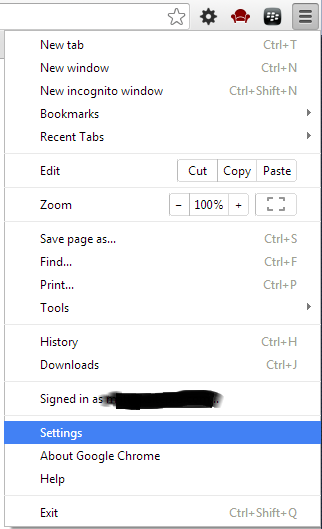 Sometimes, your browser security can be set to delete your cookies when you close the browser window. 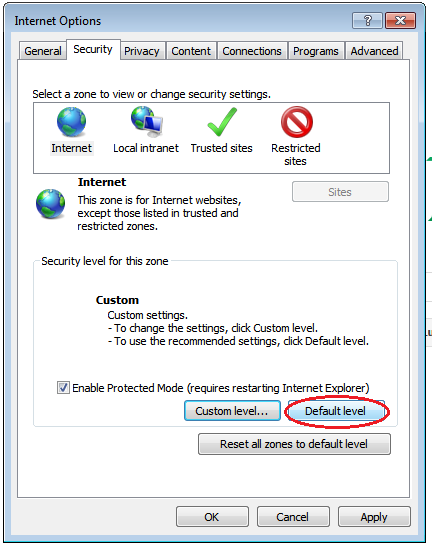 This setting is useful for public computers where more than one person uses the same browser and you don't want to leave your personal information for the next user, but for most people who don't share their computer with other people you want to have your browser set to remember them between sessions. 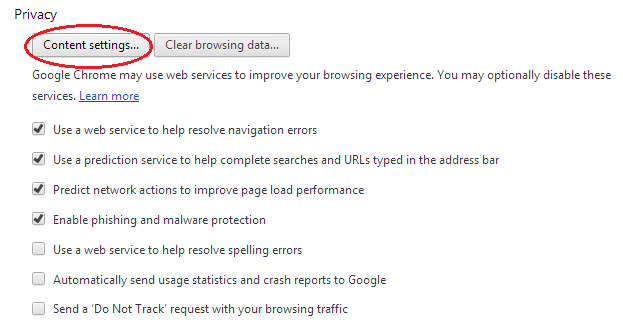 First thing to do is check if your browser is remembering the cookies. 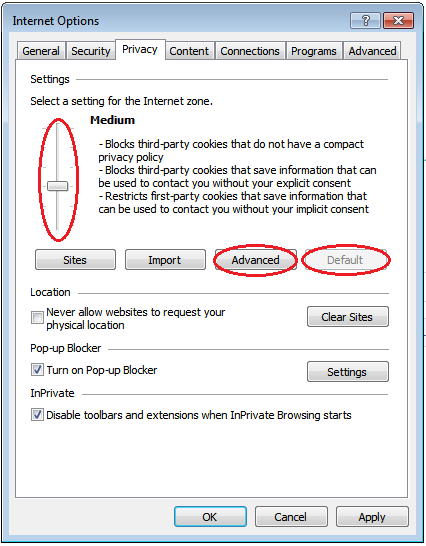 Go to http://www.whatarecookies.com/cookietest.asp and you should see a message saying that your cookies are enabled. It should also say that no existing cookie was found and that it is creating a new one. Now close your browser (every tab and every window). 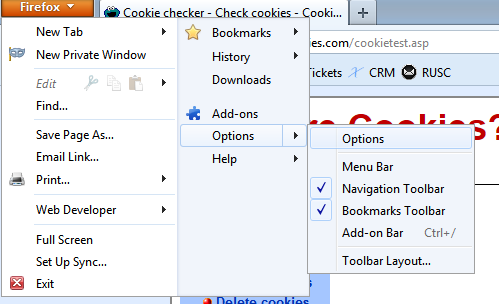 Open your browser again and go to http://www.whatarecookies.com/cookietest.asp again. This time, you should see a message saying that the cookie already existed and how long ago it is since you visited. If you see the message saying that no existing cookie was found then it means that your browser is clearing the cookies when you close it. 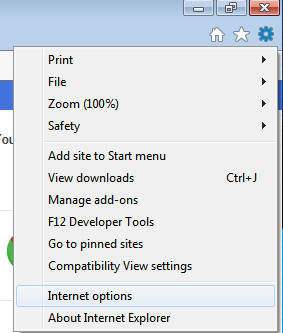 Use the orange drop down menu to go to Options, Options then the Privacy tab. 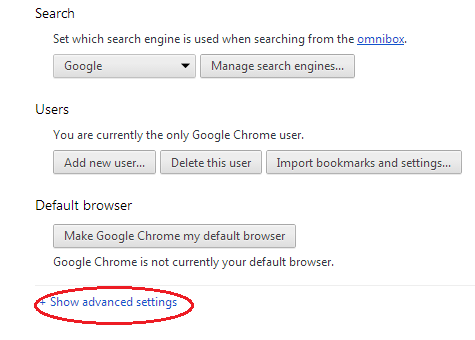 Uncheck the box "Always use private browsing mode"
Check the 3 boxes for remembering history and cookies. 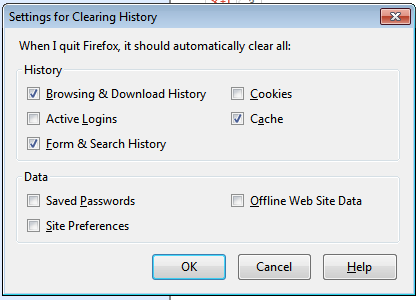 Either uncheck the box for clearing history when closing or hit the settings button and uncheck the boxes for clearing cookies and logins. There should be no entry for rusc.com in the exceptions table, if there are, delete them.